Singing keeps spirits up during a cholera outbreak several years ago. 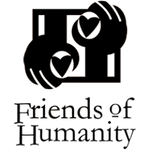 Thanks to Friends of Humanity volunteers, a cholera outbreak at House of Hope was averted by identifying a source of contaminated water and installing a well. However, cholera continues to be a major problem in Port-de-Paix and epidemics are a constant threat.